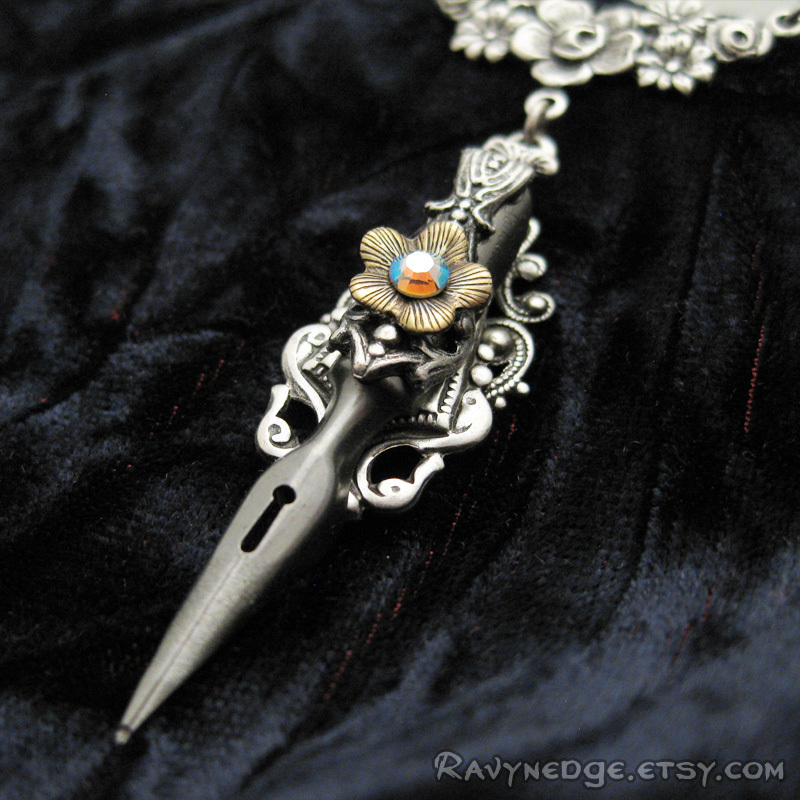 Flow Of Eloquence Necklace - Vintage Fountain Pen Nib Pendant by RavynEdge. 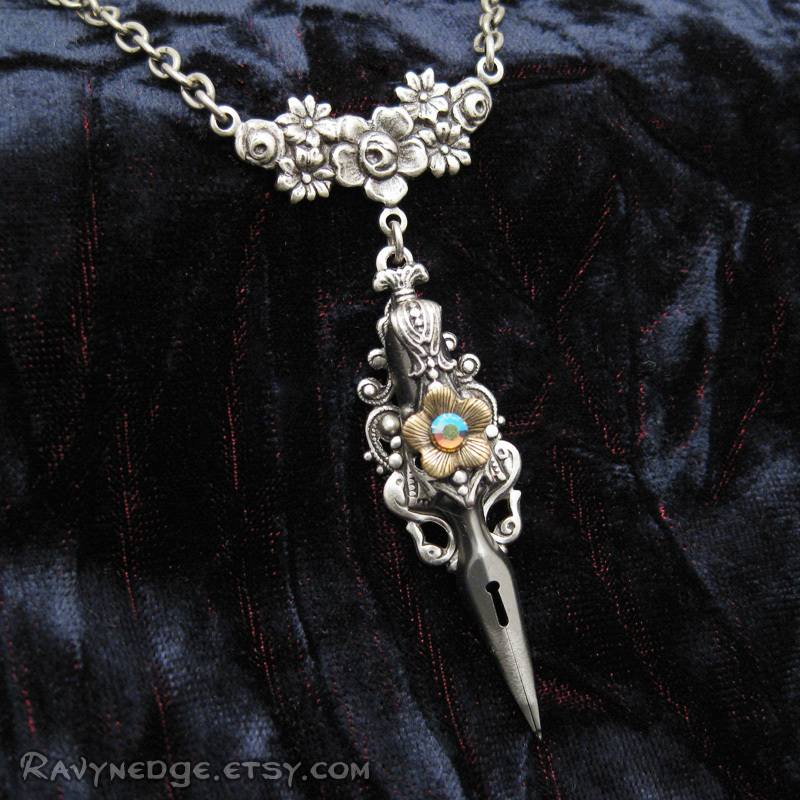 A vintage fountain pen nib makes a charming little pendant, perfect for writers, poets, artists, or people who love the unique! 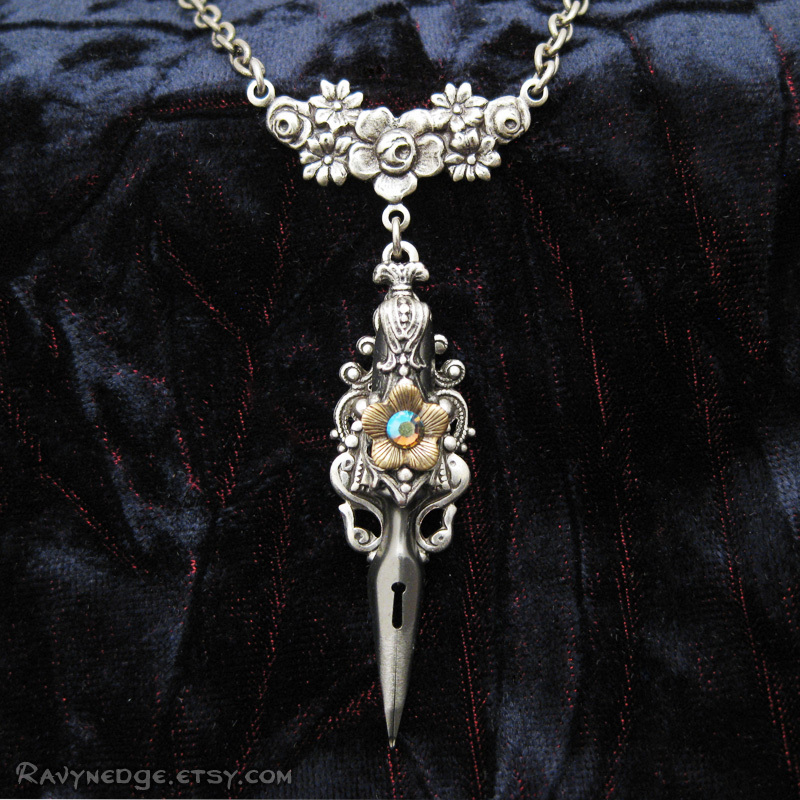 Dangling from a floral connector, it is adorned with ornate silver filigree and a brass flower blossom with a tiny black diamond AB colored Swarovski crystal in the center. 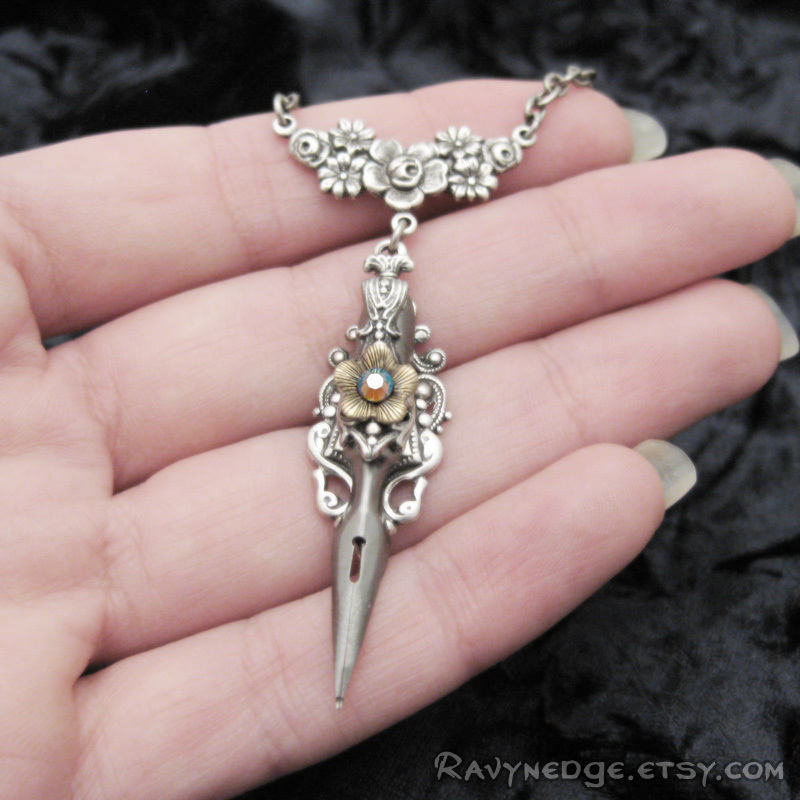 The pendant hangs approximately 2.25in (57.15mm) from the top of the connector. 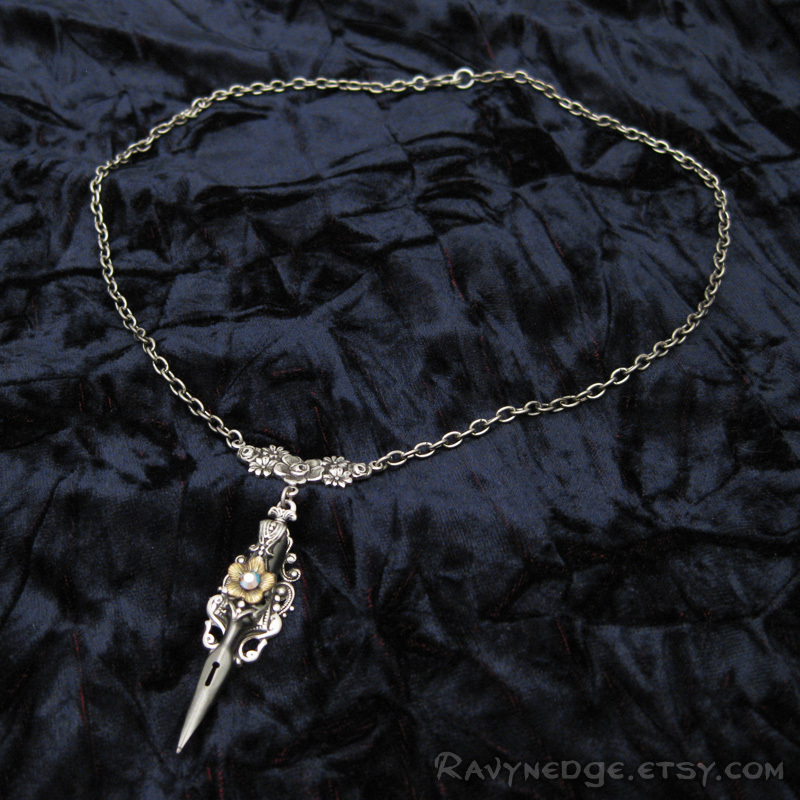 The sterling silver plated steel chain measures 16.25in (41.3cm) and closes with a lobster clasp.